When one considers ancient civilizations most think of the Egyptians, Greeks, Romans, Carthagians .. those based around the Mediterranean. Far across the ocean from those who held sway in Europe though a number of Ancient Civilizations not only flourished but thrived well past the date when the Roma Empire (as an example) had collapsed. As one journeys South in the Americas from Mexico, throuhg Guatemala and onwards into Ecuador and Peru you can discover thetraces and remains of some of the worlds grandest civilizations – that of the Olmecs, the Aztecs, The Mayans and the Incas. While it is (as you would assume) my recommendation to visit a lot of South America and Central America as individual countries on small manageable trips rather than just one long trip as many seem to want to do, if you are after a trip to take in Ancient Civilizations then this is a possibility to do within three weeks (inclusive of flights) and cover the Olmecs, Aztecs, Mayans and Incas. A three week trip would cover the basics .. one that wanted to cover the four civilizations in depth would take considerably longer, but the shorter one is suitable for most working people on holiday or those seeking an introduction to South and Central America. For a tour that fits within a three week period we would suggest something along the lines of the following ..
To me it feels in some ways like a running battle to keep people informed, but the truth is that almost anywhere that you travel on group tours you can do individual tours with your own private guide and drivers, so the answer is always NO, you do not have to travel with a Group. See? Nice and simple! The next answer though is not, because the price will vary widly dependant on where in the world you are travelling. 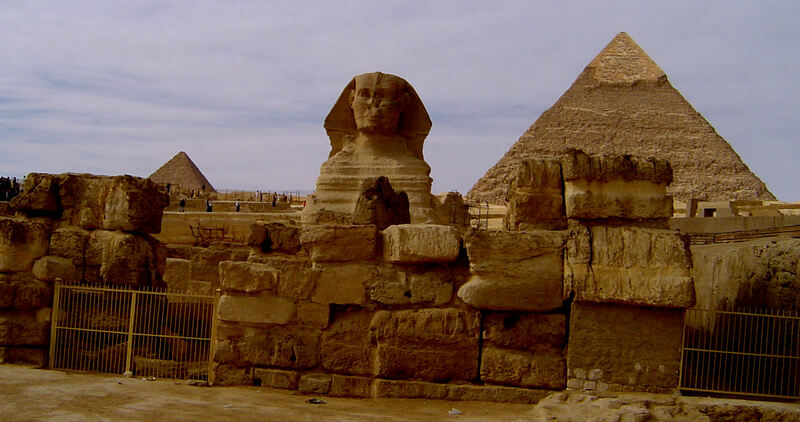 For example if you travel in Egypt or Vietnam the cost of independant travel is usully within a few dollars per day of what you would pay on a group tour on a daily basis, so no it isn’t really more expensive to travel individually. In Europe though a private tour is incredibly more expensive then a group tour, so yes in some cases it is more expensive to travel individually. It is for these reasons that we work differently in each of our destinations. For most of our destinations we work on individual tours, because the price is similar to group travel, or in some cases (like Yemen for example) trying to run scheduled group departures just are not feasable. In some destinations we offer a combination, like in Peru where we can orgainse a trip suited for you, but put you on regularly scheduled day tours with other travellers in the main cities and towns to keep costs down. Then we have destinations like Turkey, where the majority of our tours are group departures, simply because doing things individually with a private guide and driver for small groups (2 – 6 people) can be incredibly expensive. So as you can see, the whole “Group vs Individual”travel is not something that is always straightforward, at least as far as cost reward goes. In general though for the majority of our destinations we don’t hesitate to tell people that Individual Travel Options are much better than group travel, and we can tell you why! With things calming down in Egypt we thought we would take a chance to let you get a glimpse of one of our flashest new products. 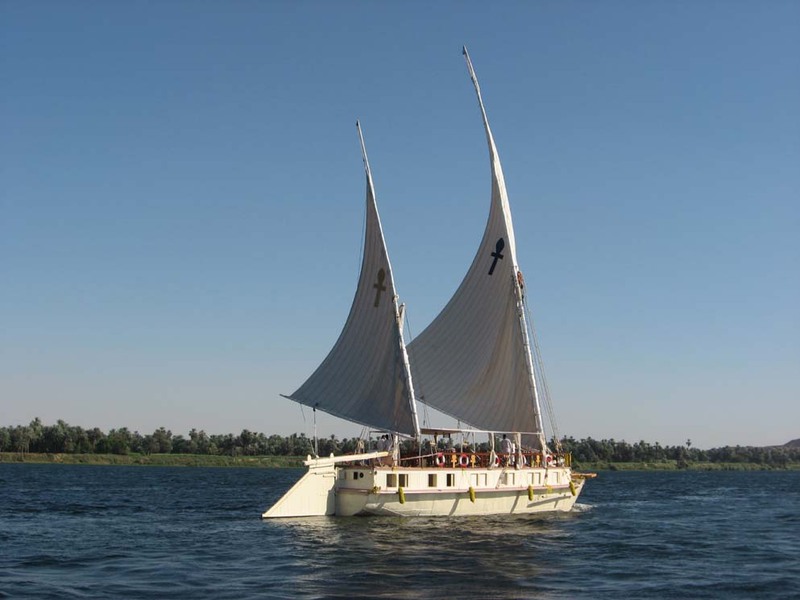 The Ankh I. Halfway between a Nile cruise boat and a felucca this marvelous vessel ply’s the Nile giving up to twenty passengers at a time the experience of a laid back cruise compared to the bustle of most cruise vessels. So to help encourage you to return to Egypt we have a limited time special combining the highlights of Egypt with the luxuries of the ANKH I.